An odd aspect of being a writer is you never know in advance what will excite readers. I’ve written letters I thought very provocative only to draw mostly yawns. Last week’s trade deficit letter lit some fireworks. The response was immediate and, in many cases, quite passionate in both directions. I got emails from old friends and longtime readers saying it was my best letter in years. Others said I had lost my marbles or gone over to the dark side. In fact, my whole China series has generated a lot of response. Evidently, I kicked the anthill. I always appreciate feedback, even when it’s negative. Our staff collects feedback from social media, the comment threads on our website, email, and probably other ways unknown to me. They dutifully assemble it into one document and distribute it to the team. When that email hits my inbox, it gets top priority and I read them all. I always learn a great deal. An amazing number of intelligent, articulate people read these letters. So today, I’ll feature some reader comments from recent weeks and explain further where my point perhaps wasn’t clear. I should note we’ve lightly edited some of these readers for clarity. With that, let’s jump right in. Here’s Lawrence Brady responding to The Trade Deficit Isn’t the Boogeyman. In purely economic terms, I could not agree more. However, there is a bigger game taking place here that supersedes the discussion in only GDP terms. In a level playing field, specialization is the most effective way of creating opportunities and minimizing costs. In this case, there is more at stake since there is no international Sherman Antitrust Act that precludes monopolization and eventual control of all aspects of the supply chain. China’s predatory practices through unregulated production standards/industrial espionage and violation of US security protocols is indicative of economic warfare. Admittedly better than the alternative of nuclear or conventional actions, the results can be the same if not checked. So, I think we need to look beyond import/export ratios and currency reserves. It is a Cold War by other means dictating a new paradigm in analysis. John: Lawrence’s note represents many others who said they understood about trade deficits, but think China is a unique threat that deserves a stronger response. As I have said many times, I agree with this. I didn’t say China is blameless, nor have I said the US should ignore China’s unfair trade practices. I said tariffs are not the right response to the trade deficit, which is not a major problem and would be an even smaller one if we resolved the other issues Lawrence mentions. The question is how to do that. Let me rephrase that for emphasis: Using tariffs to reduce the trade deficit is economically irrational. It won’t work. Tariffs do have their uses, from time to time, but are dangerous if used haphazardly or in the wrong circumstances. I was not against tariffs per se, but against tariffs as a weapon against “the trade deficit.” Which is not a problem, at least if yours is the reserve currency. Especially if you have the world’s reserve currency. I suppose carefully-targeted tariffs could be part of the answer to the problems Lawrence describes, but that’s not what the US is doing. We are, in effect, firing artillery shells at paper targets. It’s loud and emotionally satisfying but doesn’t hit the real target further downrange. It also hurts innocent bystanders who happen to be in the area. Is China a developing country? That’s complicated. Much of the vast, mostly impoverished interior and Far West certainly isn’t “developed.” But the wealthy eastern coast and a few hundred miles inland is as developed as many Western countries. So, it’s really both. You could say the same about the US, by the way. New York and San Francisco (and Dallas!) are world-class cities while parts of Appalachia, Maine, and the rural South are relatively as undeveloped as China’s poorer regions. Should the US call itself a developing country and claim WTO relief? We might have a case if we use the Chinese standard. By that standard, every country is developing as income distribution varies by region. What we really need is for China to admit it no longer deserves the same protections other truly developing countries receive under WTO. Beijing wants to be a great power? Fine. Put on your big boy pants and you can have a seat at the adult table. In my view, tariffs are not the way to nudge China in this direction. They are a blunt instrument in a situation that needs more finesse. US strategy seems directed at making Xi Jinping feel so much pain that he will surrender and do what he’s told. That will never happen. Xi may be president for life, but he still has political constraints. If tariffs won’t work, what will? Patient, methodical, and private negotiations in alliance with the other countries whom China’s practices are harming. Europe and the rest of the world have the same issues. That would take time, but I think stand a much better chance of success. Tariffs should only be used as a last resort. The problem isn't economics. The problem with China is the theft of intellectual property—and the fact that IF war were to break out, we could conceivably find ourselves like the southern states versus the North, who had all the manufacturing capabilities which enabled them to win the war. As China becomes more and more modernized and more and more competitive, they WILL attempt to become the world superpower (that is without doubt). So, the USA needs to return jobs onshore—with the ability to manufacture what we would need to both enable us to win a war using our own resources and the ability to feed and clothe the populace while said war is ongoing. John: As noted above, I agree with Joann on intellectual property. I want to gently dispute the war talk, though. First, China has no interest in starting a war with the US. If by some chance it does get frisky, that war would look nothing like the Civil War or even World War II. It would happen mostly in cyberspace and outer space. Our domestic manufacturing base would not be the kind of edge it was a century or two ago. Those who think so are like generals who are fighting the last war. Feeding the population is no problem, either. The US is a net food exporter. We might have to do without some delicacies (though I can’t think of any I would miss), but we won’t starve without imports. But what really bothers me about Joann’s note (and the many others like it) is this casual willingness to go to war—either trade war or military conflict. War hurts people on both sides. We should do all we can to avoid it. A full-on trade war with China would not simply mean tightening our belts. We would be sacrificing large parts of our own economy and population, putting entire companies and even industries out of business. Here’s a Gavekal chart showing how dependent US semiconductor firms are on China sales. Some of these companies will die if we cut off trade with China or China applies similar tariffs. Most of these companies have very sophisticated competitors in other countries. They will go out of business, their workers will lose jobs, and their share prices will drop to zero. Numerous small businesses that supply them will go bankrupt. That shock alone might push the economy into recession and stock prices into a real bear market, but plenty of other sectors would get hurt as well. Many trade hawks who want to take that risk seem to ignore the costs. They are wrong and, given our other social tensions, I fear catastrophe if we choose to bring this on ourselves. If you disagree, let me ask you this: What are you willing to give up? Is sticking it to China worth losing your job, or having your taxes rise and your income drop? If you own a business, are you ready to find domestic sources for everything you buy? And pay higher prices that you can’t pass on to your customers because they’ll be struggling, too? All that is unnecessary. We can get what we want from China without imposing such pain on ourselves. But it will require a different negotiating strategy than we’ve seen so far. China seem to be flooding the world with garbage quality goods, or do they only send their garbage to the UK? Almost everything marked “Made in China” is exceedingly poor quality with the exception of Apple products, which I assume is subject to Apple quality control inspectors. This has become a real problem in the UK, especially where safety is an important factor—boat and rigging parts for example. I understand a large portion of Chinese goods exported to the UK end up returning to China for recycling. I wonder if all the plastic destined for recycle treatment ends up in our oceans. I have a very different view of China than you, John. To me, they are a ginormous public pest. John: I partly agree with you, David. Certainly, many of the products China exports to the West are low-quality or even counterfeit. That is part of the intellectual property reforms the Trump administration is demanding. It’s a serious problem, as you say. I would dispute that “almost everything” China exports is low-quality. The government has been aggressively pushing businesses (state-owned and otherwise) to make more sophisticated goods. They have little choice, in fact. Other Asian and African countries are quickly taking market share in the relatively simple manufacturing segments because their labor costs are so much lower than China’s. That will continue. But not all jobs are equally desirable. It’s profits, not sales, that create wealth. We should invest along the productivity fabric. Jobs for jobs’ sake destroys wealth. Saving Detroit was a mistake. Should Nike shoes really be made in Oregon? We should take a page out of Lee Kuan Yew’s playbook for Singapore and think about what jobs and businesses fit best for the US. Singapore was once a nation of assemblers and T-shirt makers. But over time, it moved up the business food chain and is now among the most advanced. Ironically, some textile work is coming back to US, but it is automated and brings relatively few jobs. Formerly labor-intensive assembly and manufacturing work is coming back to the US, but the jobs, wages, and profits are further up the scale. I just completed a month-long, 2500-mile journey across western China. Signs of an economic boom are everywhere. While there are no Tier 1 or 2 cities in the west (only two western cities, Lanzhou and Urumqi, are considered Tier 3), even tiny cities of a million or less now sport brand new, modern train/bus stations and airports rivaling or surpassing America’s best. A massive construction boom is evident all across the classic Silk Road. Small towns that have not seen a new building in 50 or 100 years are now being rebuilt with modern high-rise condominiums right alongside the old. What they do have in Gansu, Qinghai, and Xinjiang Provinces is space. Xinjiang, the westernmost province, is 3-times the size of France. Gansu, once considered an impoverished backwater area that was largely desert is now a green hinterland as modern irrigation and farming techniques have tamed the waters of the Yellow River. To put it in perspective, Lanzhou, the capital of Gansu Province, is the geographic center of China. This means that as modern engineering and agricultural progress turn more of the desert into productive land, China is just beginning to realize their Manifest Destiny. The ride on the high-speed train was almost boring. You couldn’t tell that you were barreling across the desert at 130mph except for the LED indicator inside the cabin. My fellow passengers were all seated in their assigned seats with no one laying in the aisles, no agricultural produce or live animals, and the only annoyance was perhaps the conductors incessantly making sure that overhead baggage were perfectly in place. If there is one sign that China has achieved their greatest aspiration to be a first world nation, this is it. John: Thank you for that on-the-scene report, Jeffrey. First let me say that I’m jealous. I wish I had a month to do that. Or maybe I should just make a decision and take a month. I especially like the part about “tiny” cities of a million or less! While I have not ridden the trains in China, I’ve been all over Europe by train. The speed and comfort is almost unimaginable to most Americans. Why we insist on either flying or driving everywhere is beyond me. I much prefer trains when available. More interesting, perhaps, is the idea that China’s east-to-west development mirrors the “manifest destiny” that drove the US to expand in the same direction, and for similar reasons: abundant, inexpensive land and natural resources. One difference is we had an ocean waiting over there while China has mountains and deserts. However, the One Belt, One Road projects are opening China’s western edge much like the Pacific gave the US new export markets. And as the OBOR extends toward European markets and literally the entire Eurasian continent, it will inevitably draw investment, entrepreneurial talent, and even more construction and infrastructure. The growth potential is staggering. I wish I had time and space to include more letters. We actually had four others in the first draft, but we also need to keep the letters a reasonable length. If you responded, rest assured I read your comments and thought about them. I’m well into my 19th year of writing this letter, and every time I write as if I am talking to my best friend. When you write back, it is like I’m reading a letter from one of my closest friends. Thank you for your time and attention in a world where both are ever more precious. I recognize their true value. Shane and I will go to Puerto Rico in less than two weeks, then come back to Dallas for a few days before I catch a plane to Frankfurt where I will speak to a large group of institutional investors. I know I have a few other trips that aren’t scheduled as yet, but they are clearly going to be in my future. Sunday evening, I will be having dinner with my great friends Steve Blumenthal and Steve Cucchiaro, who will both be in town for the ETF Strategy Summit. I’m doing the Monday keynote at lunch. Be sure and look me up if you’re there. About a month ago, before I entered my current not-drinking phase, I was sitting outside at the nearby Stoneleigh P, which I think of as our local “Cheers” bar. Shane was out of town and it’s easy for me to walk there and get good food. One great thing about the Stoneleigh P is that patrons choose the music, and many are from my generation. The greatest playlists ever. I was sitting outside and an old Roger Miller (born down the road in Fort Worth) song came on. The young wait staff clearly didn’t understand why a few of the older clientele were singing or humming along. Then all of a sudden, as if doubling down on Miller’s songs that night, you hear him starting to sing “Trailers for sale or rent…” from King of the Road. Totally unprompted, at least a half-dozen of us began singing along, getting louder as we went. It was a generational experience of a song remembered from our youth, when the radio was king. Third boxcar, midnight train, destination, Bangor, Maine. Old worn-out suit and shoes, I don’t pay no union dues. This may seem small, but it made me happy to be alive and with my “tribe,” even though I didn’t know one of them. And I would point out that my tribe, at least that night, was very multicultural. Our backgrounds didn’t matter; our common memories united us. We went back, however briefly, to a time when this country wasn’t divided by left and right. The music brought us together. It was a great evening. It’s time to hit the send button. I hope you have a great week and create some of your own memories. Among executives it is fashionable to say that if you think Brexit is bad enough, wait until you see what happens when the markets focus on the risk of a Labour government. While I have concerns about the overall fiscal framework of the opposition’s policies, I am not overly concerned by some aspects of a prospective Jeremy Corbyn administration. Indeed, in at least six policy areas, which Mr Corbyn and his shadow chancellor John McDonnell are treating as priorities, businesses and the government need to catch up. Dealing with Brexit is obviously the most pressing task facing Theresa May’s government. But it remains a matter of grave concern that the UK prime minister has virtually no time for anything else, including the few ideas that the previous Conservative government introduced, such as devolving powers and responsibilities to the urban regions. The Northern Powerhouse and Midlands Engine schemes now receive almost no attention. The first area on which Labour sees clearly is Britain’s productivity crisis. 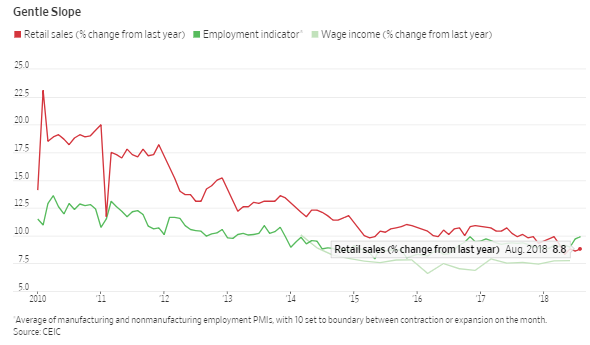 For all the apparent self-inflicted damage caused by Brexit, improving wage growth will be considerably more challenging. The largest estimate for the decline in real gross domestic product following a hard Brexit is about 11 per cent over 15 years. Stark as this sounds, it is still less than the accumulated 15-20 per cent decline stemming from weaker productivity since the 2008 financial crisis. While some of Labour’s ideas, such as imposing a productivity mandate on the Bank of England, are unconventional, their readiness to explore new ways of shaking up the status quo is admirable. Second is the orthodox belief that lower corporation tax will magically boost investment spending. This is not just a failure of imagination. It is also not backed up by the post-2008 data. In theory, cutting corporation tax should lead to more investment. And from the 1980s through to 2000, the evidence appeared to back this up. But that was in the days of more rigid labour markets, and a world in which companies could not shift their domicile to minimise taxes. Modern company structures and practices suggest that the historical forms of corporate taxation are no longer sustainable. We need a tax overhaul to link government revenues to business revenues in the country of sale. Or, at a minimum, we should stop cutting corporation tax to increase profits with little societal gain. Here again, Labour is on the mark. Third, risking large amounts of money on fixed investment no longer appears attractive. It was once assumed that, when unemployment fell below a certain level, wage growth would accelerate. Yet in an era of flexible labour markets, it has not happened. Reintroducing the unionised pay cartels of the 1970s is not sensible. Shifting the cost and risk of wages, however, is an appropriate thing for governments to do. Fourth, businesses need to rediscover profit with purpose. Often modern enterprises are driven solely by the aim of maximising sales revenues, with price/earnings ratios massaged by chipping away at fixed costs in the interests of enhancing quarterly earnings. And of course executive remuneration is directly linked to this. It often has very little connection with investment risk or productivity. Businesses are seemingly unaware of or indifferent to the consequences of reported profits continuing to rise. Chief executives need to realise that rising profits are, at some point, supposed to make markets more competitive and greater benefits for employees. Changes to risk-versus-return incentives are needed, and Mr McDonnell is right to explore them. Why not make it less easy for companies to make profits if they are not creating future economic value? The Labour party plans to nationalise railways and utilities. That may be a step too far. But we need more from these industries that most people have no choice but to depend on. All they are asking for is that their daily commuter train arrives on time or that their water supply is affordable. Yes, government monopolies were wasteful and inefficient in the bad old days. But that does not make today’s market failures acceptable. Finally, there is the housing crisis. It is hard not to think that the market is broken. The decline in social housing has greatly contributed to the growth of the low-income rental market. Yet conventional approaches to remedying the problem focus on boosting home ownership, even when this requires a large subsidy, such as the help-to-buy scheme. Surely we need a market where owning a home is more affordable and in which social housing no longer carries with it a stigma? As with the other challenges of our time, the government likes to brandish solutions (and Mrs May’s pledge on Wednesday of £2bn for new social homes was certainly welcome), but it rarely explores how to tackle the core supply and demand issues. There are undoubtedly other serious policy challenges. And it continues to surprise me that the jolt of Brexit has not woken up businesses and those in the centre ground of politics to do more than merely try to reverse the result of the 2016 referendum and keep Britain inside the EU. Dealing with the UK’s deep-seated economic problems requires sustained thinking and attention, not just occasional lip service. The Labour party has stepped into the vacuum left by the government and appears to be offering the radical change that people seek. Are China’s Consumers in Trouble? China’s annual Singles Day sale, the gargantuan spree spawned by Alibabaevery Nov. 11, is just six weeks away. But local chat rooms are alight with talk of a Chinese “consumption downgrade.” After years of analyst enthusiasm for the country’s rising consumer class and the companies that serve it, should investors be worried? In short, yes—although less than “downgrade” implies. Chinese consumers are set for some pain: The trade war with the U.S. will likely hit the labor-intensive export sector, while sectors like autos have been struggling as tax breaks expire. Still, China’s labor market has actually been looking up recently. And households are adding debt slower than over the past two years, meaning more income available for consumption. One reason consumption and retail sales were weak in 2017, even as urban wage growth accelerated, was Chinese consumers’ enormous borrowing binge, much of it for mortgages encouraged by Beijing. In 2016 and 2017 household borrowing grew by the equivalent of 10% of gross domestic product. It continues to rise, but the pace has slowed dramatically: Consumer loans at the end of June were up from a year earlier by just 3% of GDP, half the pace of the previous 12 months. That should leave Chinese households more money for discretionary items, and consumption growth did tick higher in the second quarter, although retail sales—which exclude spending on services—haven’t yet shown much of a bump. China’s labor market is also holding up surprisingly well, in part due to the continued strength of the property sector. Services and construction companies together added jobs at the fastest pace in 21 months in August, according to China’s purchasing managers index. Manufacturers are still cutting jobs, but at the slowest pace since early 2017. The improved employment picture could drive some rebound in retail sales and general consumption in late 2018. Next year things could get trickier. Earnings growth is slowing even before the big U.S. tariffs really hit. And industrial profits excluding the capital-intensive materials sector—one of the best leading indicators for incomes, according to Gavekal Dragonomics—are also weakening. Slower profit growth will eventually start hitting wage growth too. China’s consumers are doing fine for now. But for Chinese consumer stocks, down 20% for the year, any Singles Day-led bounce in the months ahead might prove fleeting. LONDON – The United States cannot win its tariff war with China, regardless of what President Donald Trump says or does in the coming months. Trump believes that he has the upper hand in this conflict because the US economy is so strong, and also because politicians of both parties support the strategic objective of thwarting China’s rise and preserving US global dominance. But, ironically, this apparent strength is Trump’s fatal weakness. By applying the martial arts principle of turning an opponent’s strength against him, China should easily win the tariff contest, or at least fight Trump to a draw. Economists since David Ricardo have argued that restricting imports reduces consumer welfare and impedes productivity growth. But that is not the main reason why Trump will be forced to back down in the trade war. In handicapping the US-China conflict, another economic principle – rarely used to explain the futility of Trump’s tariff threats – is much more important than Ricardo’s concept of comparative advantage: Keynesian demand management. Comparative advantage certainly influences long-term economic welfare, but demand conditions will determine whether China or America feels more pressure to sue for trade peace in the next few months. And a focus on demand management clearly reveals that the US will suffer from Trump’s tariffs, while China can avoid any adverse effects. From a Keynesian perspective, the outcome of a trade war depends mainly on whether the combatants are experiencing recession or excess demand. In a recession, tariffs can boost economic activity and employment, albeit at the cost of long-term efficiency. But when an economy is operating at or near its maximum capacity, tariffs will merely raise prices and add to the upward pressure on US interest rates. This clearly applies to the US economy today. US businesses could not, in aggregate, find extra low-wage workers to replace Chinese imports, and even the few US businesses motivated by tariffs to undercut Chinese imports would need to raise wages and build new factories, adding to the upward pressure on inflation and interest rates. With little spare capacity available, the new investment and hiring required to replace Chinese goods would be at the cost of other business decisions that were more profitable before the tariff war with China. So, unless US businesses are sure the tariffs will continue for many years, they will neither invest nor hire new workers to compete with China. Assuming that well-informed Chinese businesses know this, they will not cut their export prices to absorb the cost of US tariffs. That will leave US importers to pay the tariffs and pass on the cost to US consumers (further fueling inflation) or to US shareholders through lower profits. Thus, the tariffs will not be “punitive” for China, as Trump seems to believe. Instead, the main effect will be to hurt US consumers and businesses, just like an increase in sales tax. But let us concede that the tariffs may price some Chinese goods out of the US market. Where will the competitively priced imports that undercut China come from? In most cases, the answer will be other emerging economies. Some low-end goods such as shoes and toys will be sourced from Vietnam or India. Final assembly of some electronic and industrial machinery may relocate to South Korea or Mexico. A few Japanese and European suppliers may displace high-end Chinese suppliers. Thus, to the very limited extent that tariffs do prove “punitive” for China, the effect on other emerging markets and the global economy will not be damaging “contagion” but a modest boost to demand that results from displacing Chinese exports to the US. True, Chinese exporters may experience modest losses as other producers take advantage of the US tariffs to undercut them. But this should have no effect on Chinese growth, employment, or corporate profits if demand management is used to offset the loss of exports. The Chinese government has already started to boost domestic consumption and investment by easing monetary policy and cutting taxes. But China’s stimulus measures have so far been cautious, as they should be considering the negligible impact that US tariffs have had on Chinese exports. If, however, evidence starts to emerge of export weakness, China can and should compensate with additional steps to boost domestic demand. In principle, China can avoid any damage at all from US tariffs simply by responding with a full-scale Keynesian stimulus. But would the Chinese government be willing do this? This is where bipartisan US support for a “containment policy” toward China paradoxically works against Trump. China’s rulers have so far been reluctant to use overt demand stimulus as a weapon in the trade war because of strong commitments made by President Xi Jinping to limit the growth of China’s debt and to reform the banking sector. But such financial policy arguments against Keynesian policy are surely irrelevant now that the US has presented the battle over Trump’s tariffs as the opening skirmish in a geopolitical Cold War. It is simply inconceivable that Xi would attach higher priority to credit management than to winning the tariff war and thereby demonstrating the futility of a US containment strategy against China. This raises the question of how Trump will react when his tariffs start to hurt US businesses and voters, while China and the rest of the world shrug them off. The probable answer is that Trump will follow the precedent of his conflicts with North Korea, the European Union, and Mexico. He will “make a deal” that fails to achieve his stated objectives but allows him to boast of a “win” and justify the verbal belligerence that inspires his supporters. Trump’s surprisingly successful rhetorical technique of “shout loudly and carry a white flag” helps to explain the consistent inconsistency of his foreign policy. The US-China trade war is likely to provide the next example. Anatole Kaletsky is Chief Economist and Co-Chairman of Gavekal Dragonomics. A former columnist at the Times of London, the International New York Times and the Financial Times, he is the author of Capitalism 4.0, The Birth of a New Economy, which anticipated many of the post-crisis transformations of the global economy. His 1985 book, Costs of Default, became an influential primer for Latin American and Asian governments negotiating debt defaults and restructurings with banks and the IMF. As a best-selling author, Harvard instructor, keynote speaker and brand adviser, Carmine Gallo has spent his career focused on communication skills. He believes the ancient art of persuasion has been lost in the modern business world, and he wants to help workers bring it back. His latest book is titled Five Stars: The Communication Secrets to Get From Good to Great. Knowledge@Wharton: Why has the importance of good communication skills come into such sharp focus in the last few years? Carmine Gallo: Great persuaders are irresistible throughout all of history. But at no time in our historical record have interpersonal communication skills been as important as they are today, which is somewhat counterintuitive. That’s what caught my interest, and that’s why I wrote the book. Because today, anyone, anywhere in the world who is better at expressing their ideas can see a sudden massive increase in wealth that is unprecedented in human history. In the agrarian age, a farmer who plowed the field a little better than their neighbor cannot acquire significantly more wealth. In the industrial age, a factory worker who assembled widgets faster than the person next to them would not acquire significantly more wealth. But the historians, economists, entrepreneurs and venture capitalists I talked to for the book all profess the same theme: In this age of artificial intelligence, globalization, automation — the one skill that can separate you not only from the technology that we create but from your peers is mastering the ancient art of persuasion. Combining words and ideas to ignite people’s imagination. Knowledge@Wharton: So many of us communicate now through text or email instead of a phone call or a letter. Have we lost the ability to persuade through communication because of our reliance on technology? Gallo: The tools we use to communicate to one another have changed. Let’s also include the digital presentation tools we use, like PowerPoint. We’re not drawing pictures on cave walls as we did thousands of years ago. But what’s fascinating, and the competitive advantage that I talk about, is the ancient brain, the primitive brain, has not changed. The way we like to communicate, the way we process information through the vehicle of story, through emotions, through empathy — those things have not changed since the beginning of time. That’s why I call “mastering the ancient art of persuasion” a competitive skill. It is an ancient art; we just need to bring it back into the business fold. Knowledge@Wharton: How much do you think companies are aware of this and factor it into the hiring process? Gallo: Much more than you think. Again, this is something that prompted this book. I don’t just write these books out of nowhere. I feel what’s going on. I talk to executives, talk to CEOs. What’s happening out there in the industry? For example, SAP, a giant business software company that’s global, just hired a relatively new marketing manager in the last year, but her title is chief storyteller. Storytelling goes back 2,000 years ago to Aristotle. This is not new. But what they’re finding is that they cannot compete by giving you engineering terms and talking to you about business software that is so complex that it’s hard for the average person to understand. They use the vehicle of story, of narrative to better sell those products. That’s why he and others within Google are transforming their entire culture into being better storytellers, better communicators, more persuasive and packaging information in a way that is clear and understandable and memorable. But when you look at how they’re doing it, they’re not using new skills. They’re using skills that were handed down to us thousands of years ago. Knowledge@Wharton: In the book, you talk about Virgin CEO Richard Branson’s love of storytelling. He thinks it’s a key component in business. That was a critical conversation for me because that’s when I realized we haven’t changed that much. The human brain has not changed. The more you understand how the brain processes information and how your listener wants to receive that information, that’s where I believe there’s that competitive advantage to stand out. Knowledge@Wharton: But what about people who say they just want to get to the point and get the facts? Gallo: This is why I focus very much on Aristotle’s three-part formula for persuasion. Aristotle gave us the formula that all persuaders use, from the Founding Fathers to today’s great business leaders to Abraham Lincoln and John F. Kennedy and Martin Luther King Jr. If you look at great speeches or presentations, all fall under a three-part formula. In order for me to persuade you to change your mind, I need to do three things. I need to have ethos, which is credibility and character. I need to have what Aristotle called Logos, which is a logical structure to my argument. In business, that means the data or the evidence to back up your argument. But the key is that you cannot persuade another person to change their mind without pathos, which is emotion. Everything about human nature — from the stock market to where we invest to how we vote — is based on our emotional narratives that we tell each other as groups and within individuals. You still need the other two parts. I can’t just appeal to you on emotion. That might work for a limited amount of time, but I’m not going to sell you a multimillion-dollar project if I don’t have a logical evidence to back my results, and if I don’t have some credibility for who I am. So, it’s a three-part formula that has been handed down for generations. We’re just losing sight of it because we want to get across our bullet points, our facts, our information in our pie charts without understanding that people are moved by emotion. I’ve written several books on communication skills. But a few books ago, I interviewed a molecular biologist named John Medina at the University of Washington. He opened my eyes. He said, “The brain does not pay attention to boring things.” That is why people like TED talks because they have visual presentation. It’s not all text and bullet points. In fact, bullet points are not allowed on a TED stage. They are based in narrative and story and compelling visuals. That takes some creativity. It’s easy to open a PowerPoint slide and just fill out bullet points and text. What we’re talking about is ancient. It’s part of our DNA. It’s what we do naturally. But it does take some creativity. Knowledge@Wharton: How is the need for better communication skills affecting companies? Gallo: I call it a communication skills gap. One of the many surveys that I cite is one taken by LinkedIn of recruiters and hiring managers from around the world. Ninety-four percent said that a person with good experience but exceptional communications skills is more likely to be elevated to a position of leadership than someone with better experience but weaker verbal skills. There is also very real evidence of people, whether they’re millennials or mid-level career professionals or leaders, who not only have been elevated above their peers, but they’re promoted more often. They rise higher in the ranks much more quickly. They’re more successful at selling products, marketing and engaging teams. The difference almost always comes down to the fact that they are better leaders. But what does that mean? They are more persuasive. They’re better communicators. They can connect with people on a much deeper, powerful level. Knowledge@Wharton: You talked with Navy SEALs, and that’s a very different type of leadership. How do practicing good communication skills have a role in what they do? Gallo: The Navy SEALs are interesting because they value leaders and they create leaders who can clearly and concisely communicate the vision behind a strategic mission or an initiative. Some people are just PowerPoint rangers. They give you these 100-slide PowerPoints and everything is very confusing and convoluted, much like what we do in business today. Yet the leaders who are valued, who stand out and who are trained are those who must communicate their vision visually, so they use presentations in a much more visual medium. They have to be very clear, so everybody understands the mission immediately, and they have to do it in a concise fashion. It’s an actual training within the Navy SEAL culture. It’s not enough just to be able to pass Hell Week. It’s not enough just to pass the physical requirements. You have to be a good communicator leader in order to get the most out of your teams. I have found that not only within the Navy SEALs but also within Special Forces and several other branches of the military. I’ve found it with NASA astronauts. You cannot become an astronaut today just by passing the physicals or just by having a Ph.D. or being a test pilot. Those are the credentials. That’s the ethos we talked about. But if you cannot communicate and collaborate across cultures and across teams on a space station where you’re stationed for one year with a small group of people, they’re still not going to hire you. Those 12 people who are hired out of 18,000 applications are typically good communicators. Knowledge@Wharton: Getting back to the business side, sometimes we forget how critical communication is to the product or service being offered. Gallo: That’s why we talk about this idea that it’s the great persuaders who stand out. I have interviewed billionaire venture capitalists behind Google, Airbnb, Uber, PayPal. One person in particular said, “The great persuaders have an unfair competitive advantage.” When you pitch an idea, it’s still an idea, so 90% of what we’re communicating is an expectation of what we hope to achieve. We have to bring you into our vision. Today more than ever, entrepreneurs and business leaders need to be able to excite people about a vision and bring people into that journey. That’s a skill that sets people apart. I was talking to Geoff Ralston, who is one of the partners of a seed accelerator called Y Combinator in Silicon Valley, and he corrected me. He corrected me, the communication guy. I said, “Geoff, I know we’re talking about a soft skill here.” And he stopped me and said, “What are you talking about?” I said, “Well, public speaking, communication — we call them soft skills.” He said, “You might consider it a soft skill. I consider it fundamental.” He was serious. That’s why I say that at no time in history has interpersonal communication been as important. Let’s get away from calling it a soft skill. The art of persuasion, combining words and ideas to move people to action, is not a soft skill in today’s global environment. It’s fundamental to your success.